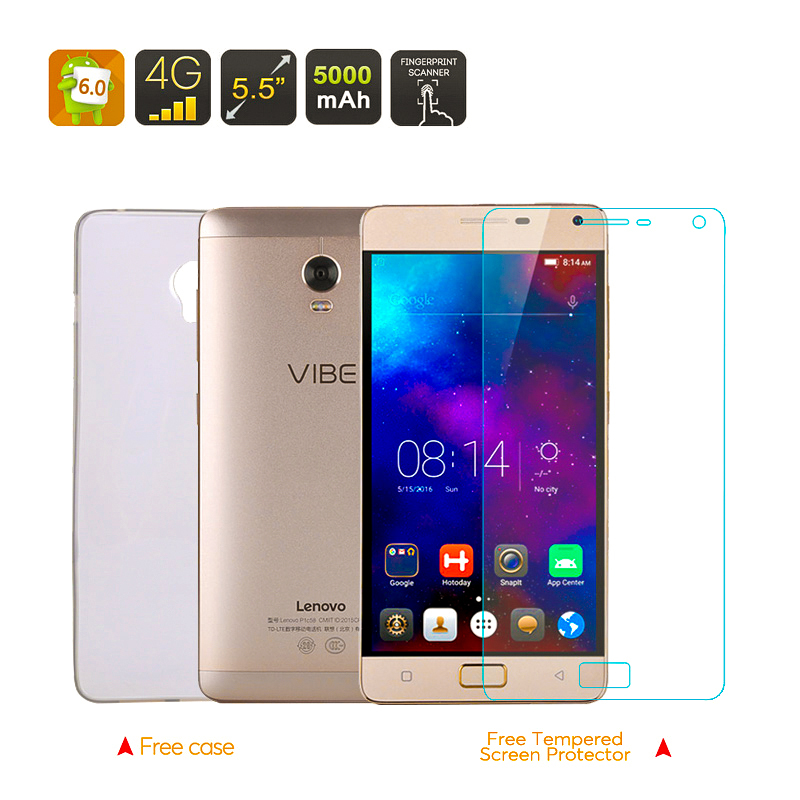 Successfully Added Lenovo VIBE P1 Smartphone - 5.5 Inch IPS FHD Screen, Snapdragon 615 Octa Core CPU, Android 6.0, 4G (Gold) to your Shopping Cart. With its lush large 5.5 inch screen the sleek and sophisticated Lenovo Vibe P1 certainly has the looks to turn heads. A physical home key on the front of this device also houses the fingerprint sensor letting you secure your device biometrically keeping everything on it safe from prying eyes. Thanks to the Android 6.0 operating system you can enjoy all the latest advances of the most proficient Google OS to date and have full access to the play store with over a million apps and games top keep you entertained. The large IPS display has full HD resolutions that bring about 400 pixels per inc so you get a pin sharp image with great color reproduction so viewing films and playing games are a true joy. The 5.5 inch screen has 10 point touch sensitivity so you can enjoy all the latest games and a proficient user interface. Coming with a Qualcomm Snapdragon 615 processor and 2GB of RAM the Lenovo Vibe P1 has everything you need for a reliable performance and with its Adreno GPU can happily handle graphically intensive games, without dropping any frames. Having 16 GB of internal storage and supporting 128GB micro SD cards there's noting stopping you from stocking up on all your favorites from the Google Play Store. As Smartphone's get ever more powerful they need bigger batteries to keep you connected all day, thankfully the Lenovo Vibe P1 can go all day and allows for up to 12 hours of talk time due to a massive 5000mAh battery. This much needed boost to battery life means the Lenovo Vibe P1 will keep on going when most of the competition has died. The Lenovo Vibe P1 Android Smartphone comes with a 12 months warranty, brought to you by the leader in electronic devices as well as wholesale China Smartphones..
very nice phone and very fast delivery thanks .